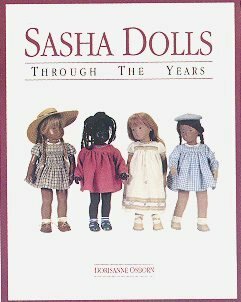 A set of three hard-cover books about Sasha dolls, both studio and serie, has been written collaboratively by Ann Chandler, Susanna Lewis, and Anne Votaw: Sasha Dolls: The History; Sasha Dolls: Clothing and Patterns; Sasha Dolls: Serie Identification. The books are currently available at $50.00 each. 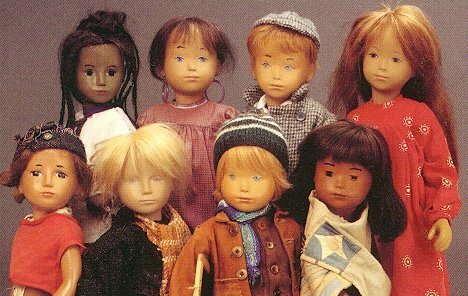 Detailed information and purchase instructions are on this website, here. The book is out of print and can be found on secondary sources. The book was republished in 2015, revised slightly and in a smaller hardcover format. It can be found for about $45.00 on Amazon.com and other booksellers. by Cameron Morgenthaler and Annemarie Monteil. One of the 32 photographs within. 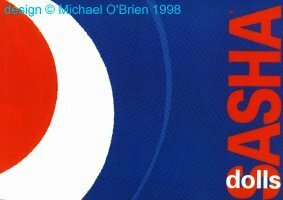 The book is soft-cover, 6 x 8 inches, 40 pages, with text in German and English. 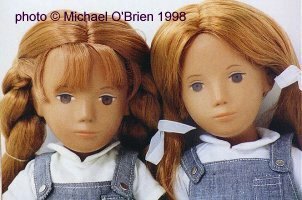 It is a photographic gallery of Sasha serie dolls from the English and early Götz productions, from the beginning of each of these two productions, to the year 1970. Price $20.00. The book is available in hard cover (ISBN 0-912823-86-0 for $35.00) and soft cover (ISBN 0-912823-85-2 for $29.00). It is 8½ x 11 inches, 64 pages, with text in English. 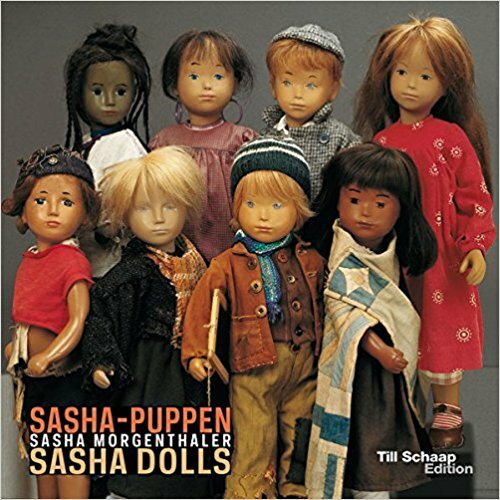 It has 200 color photos, and includes general information on the identification of types of Sasha dolls and clothing from the three productions as well as the studio originals.